Do you have a GO! 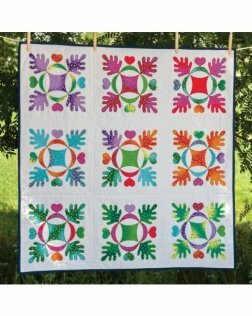 AccuQuilt Die Cutter or the AccuQuilt Studio Cutter? Then bring your GO! Cutter and join us once a month to share ideas and really learn how to use your system to cut your blocks quickly, efficiently, and accurately. We will present a pattern at each monthly meeting and cut out all of the pieces together. Prior to the meeting you will be given a picture of the project as well as fabric requirements and a list of the dies needed for that particular project. Once your pieces are all cut, you will be able to assemble the project at home and bring it back for "Show & Tell" the following month. Only $10 per person per month. Online registration is not available for this club. You must call or come in to register.